Thanks for the Lovely Launch! 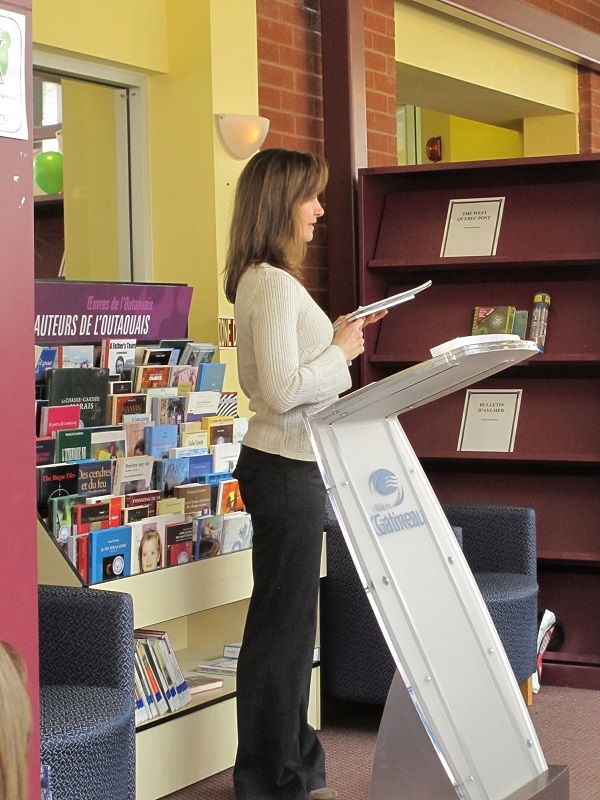 Me introducing my new book, 28 Tricks for a Fearless Grade 6. 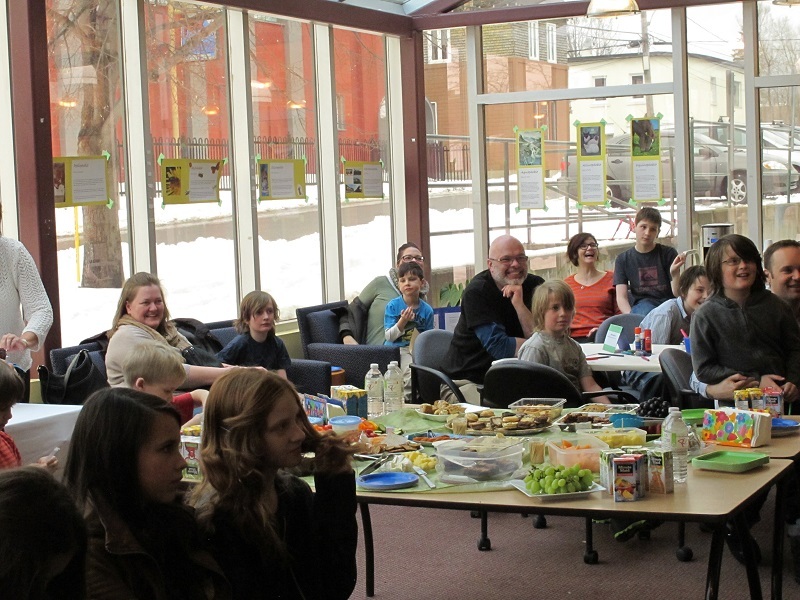 A huge thank-you to la Bibliothèque municipale de Gatineau for providing the room and refreshments, and to Michabou for handling book sales. Thanks to Anni del Sol for the live music, and to sixth-graders Daimon, Aiden, and Angel for the wonderful readings. And thanks to everyone who dropped in and stayed a while. It’s a particularly touching experience to celebrate the publication of a new book with friends. Writers are lucky that way – people in other professions rarely have a party to celebrate some success at work. I think everyone should start doing this. Delivered a report on time? That calls for music. Cleaned the whole house? Let’s get together and chat. Made a customer’s day? How about some brownies, people? Most of us spend too much time being hard on ourselves for all the things we haven’t done, and not enough time revelling in the good things we have achieved. So cheers to the book launch tradition that makes us pause to say, “Hey, look what I did!” May it thrive and expand to celebrate all the large and small ways in which we are creative every day. Congratulations–looks like a fun time–I’m glad your launch went well! Thanks, Marcia. It was lots of fun. Thanks, Linda. I’m almost finished my taxes, which I’ll consider an everyday success that calls for a little celebrating.